The game is Sonic Generations. Or rather, Super Mario Generations, thanks to modder group Daku & Squiz. 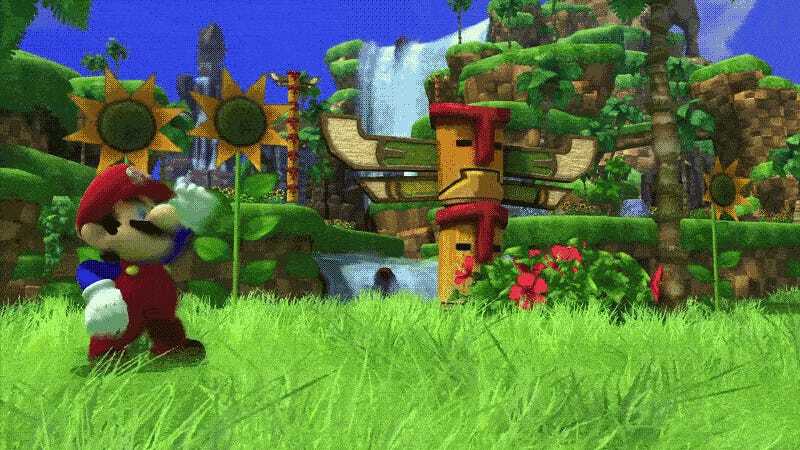 The mod (via DSOGaming), which has been in the works for a couple years now, basically lets you play through Sonic Generations as Mario, with the supporting characters also getting turned into various Mario ones like Peach, Donkey Kong, or Wario. There’s custom Mario music and sound effects included, as well. Below’s the release trailer for the mod, and you can also download it here if you happen to own Sonic Generations on PC.